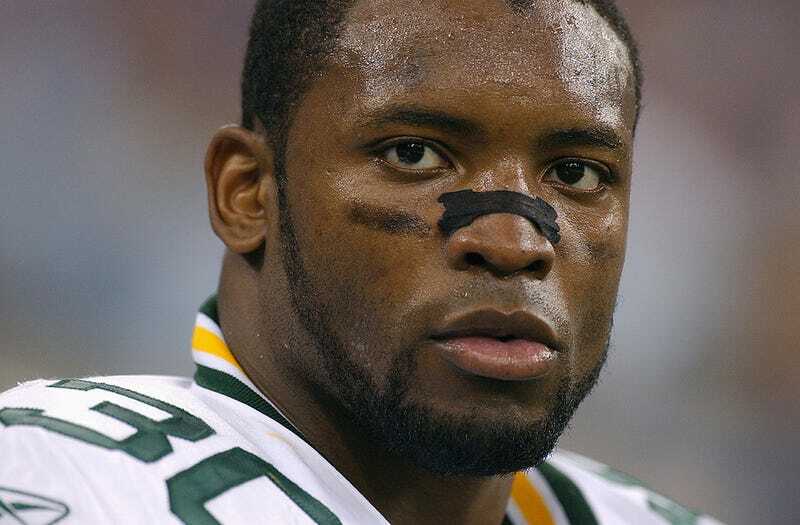 Former Green Bay Packers running back Ahman Green could be facing a lengthy jail sentence if he is convicted in a case in Wisconsin. On Wednesday the four-time Pro Bowl running back was arrested and charged with felony child abuse: intentionally causing harm or cruelty toward A child, TMZ Sports reports. Green, 40, is being held without bond until he appears in front of a judge. If convicted, he could face up to six years in prison. Green was the featured running back for the Packers from 2000 to 2006. He returned to the team in 2009, which was also his final season in the NFL. Green also played for the Seattle Seahawks and the Houston Texans, and remains the Packers’ all-time leading rusher.